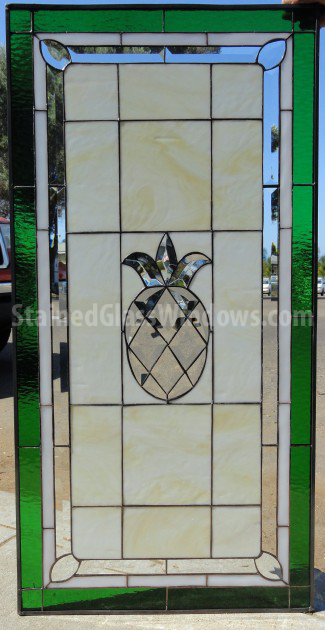 For a refined tropical setting, our classic pineapple leaded stained glass window panel has it all. The clear beveled glass used inside the pineapple design creates a diamond-like appearance while the marbled pieces surrounding it add a three-dimensional effect. With a robust green border, it takes the tropics into your home, garden, or patio with perfection. 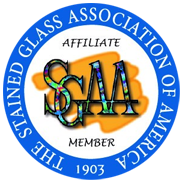 Categories: Windows Made-to-order (Wide Range of Designs), Flowers & Fruit, Geometric & Clear Beveled Glass.